Whether you need a pick-me-up or are just in the mood for a solid escapist comedy, Legally Blonde is the movie for you. Sorority girl Elle Woods (Reese Witherspoon) is graduating college and anticipating a proposal from Warner; instead, he dumps her for not being “serious enough.” Elle hatches a plan to win back Warner—she heads to Harvard Law School and learns life lessons both in and out of the classroom. A feel-good movie about girl power, Legally Blonde has more substance than you might think. 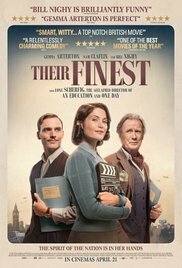 Costarring Luke Wilson, Selma Blair, Jennifer Coolidge, and Victor Garber. 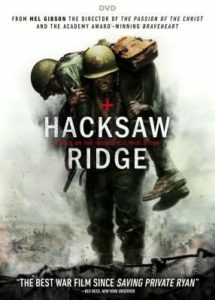 A gripping true story about a man who stood for his convictions while defending his country, Hacksaw Ridge details the life and service of Desmond Doss. A conscientious objector, Doss refused to bear arms. Nevertheless, like many others, he volunteered to join the army after the attack on Pearl Harbor. As a combat medic, Doss’s heroics saved 75 lives during a WWII battle. Just a warning: the combat scenes (which start about halfway through) are quite graphic. Hacksaw Ridge won Oscars for film editing and sound mixing. Andrew Garfield (actor) and Mel Gibson (director) received Oscar nominations. Learn more about the true story of the first conscientious objector to receive a Congressional Medal of Honor in an NPR article and Army history. 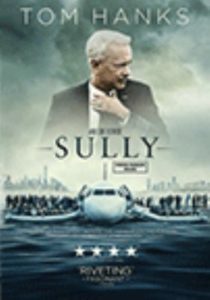 A gripping movie that will keep you enthralled from beginning to end, Sully is based on a true story: on January 15, 2009, after a bird strike killed both engines, Chesley Burnett “Sully” Sullenberger III landed his US Airways plane on the Husdon River in New York City. All 155 people on board survived. Knowing about “the miracle on the Hudson” will not dull your interest in Sully. Starring Tom Hanks (Sully) and Aaron Eckhart (Jeff Skiles, his copilot) and directed by Clint Eastwood, the film focuses on the humble hero during the water landing and the subsequent chaos. 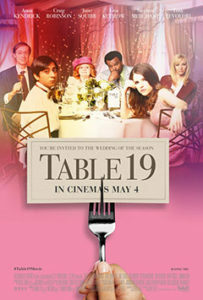 This heartwarming drama is so worth an uninterrupted screening (or two). Based on the autobiographical memoir Highest Duty: My Search for What Really Matters. 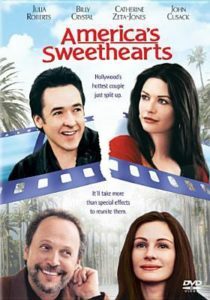 John Cusack and Catherine Zeta-Jones play America’s sweethearts (Eddie and Gwen): they’re actors who married, starred in several movies together, then split publicly and messily (sounds like real life, right?). The studio needs them to promote their final movie, and sends veteran publicist Lee (Billy Crystal) to control the chaos. Add Julia Roberts as Kiki, Gwen’s sister/assistant, and you’ve got America’s Sweethearts, a comedy about love and the ridiculousness of Hollywood. In the mood to binge watch romantic comedies? 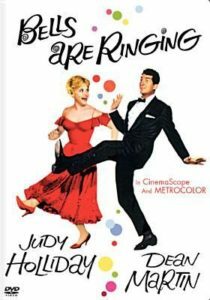 We’ve got romantic comedies you’ll love – part 1 and part 2. 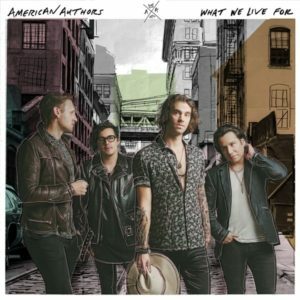 As a huge fan of the 2014 single “Best Day of My Life,” I was excited to discover American Authors’ sophomore effort. What We Live For is an upbeat, feel good alternative pop/rock album. Especially catchy are the songs “Go Big or Go Home” and “Nothing Better.” Give it a listen to lift your mood. For fans of OneRepublic and Fun. Good news: listen instantly on Hoopla (or check out the CD). 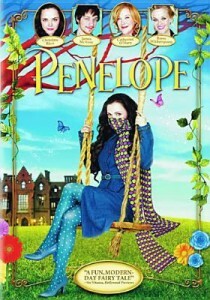 A darling contemporary fantasy, Penelope is the story of a girl affected by a family curse. Due to a great-grandfather’s perfidy, Penelope (Christina Ricci) is born with a pig snout. Legend says only love from one of her own kind can break the curse, and so her mother (Catherine O’Hara) arranges introductions to a string of blue bloods as potential husbands. Enter Max (James McAvoy). He and Penelope connect, yet something’s not quite right. Penelope flees home, embarking on her first adventure at the age of 25. This charming modern fairy tale isn’t always what it seems.